Exporting data as "CSV for Excel" is providing data in improper format. 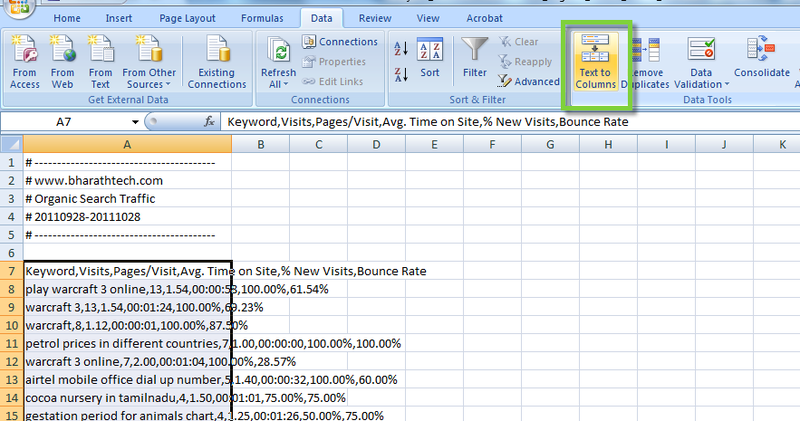 When opened in excel, the data shows up in single column like the below screenshot. Notice how the data appears in a single column. 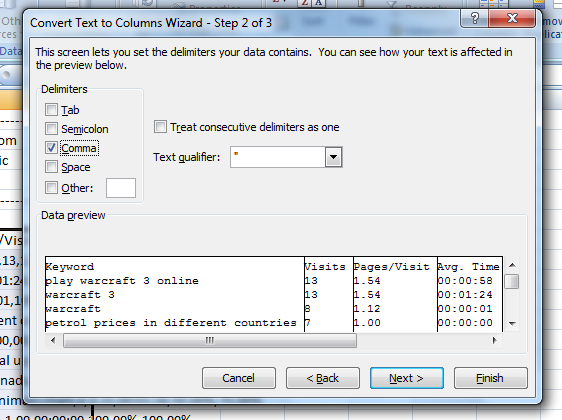 To fix this bug in Excel, select the column, then goto the Data tab.Then Click on the "Text to Columns" button as in screenshot. Then follow the steps as in screenshots. Click Next on the first window. Select comma as the delimiter and click Finish. Select Ok in the confirmation box that opens. The text will all be sorted out as in below screenshot. 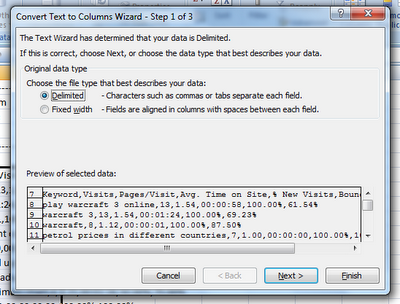 For those who cannot follow all these steps, simply select "CSV" in the export option instead of "CSV for Excel". The CSV version does not club the columns in excel! 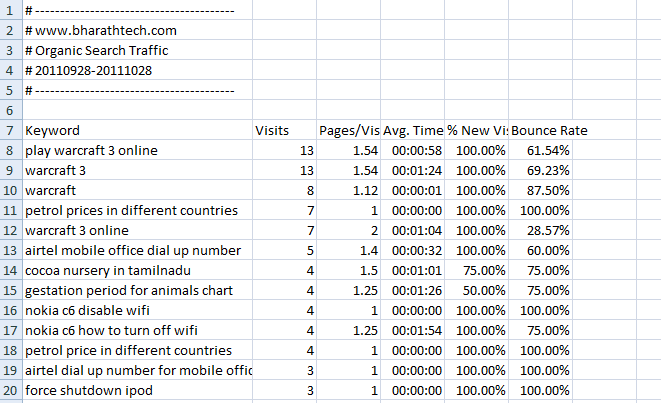 Check out http://megalytic.com/google-analytics. Handles multiple accounts as well as Facebook, Twitter, Omniture.